Count on Cartech Automotive & Transmission Repair when you need tires, wheels, and alignments in San Antonio, TX. We sell high-quality, brand-name tires at great prices. We then maximize your value with free alignment checks, so you can trust that your tires will perform to your expectations. Expect quality workmanship, great products, and honest service. 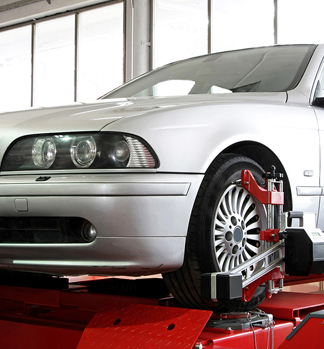 Maintain the drivability of your vehicle by regularly having your alignment checked. Your owner's manual should provide a suggestion, but a good rule of thumb is to have it checked about every 10,000 miles. Of course, other factors can contribute to the deterioration of wheel alignments such as your driving style and other environmental factors, and you should never ignore signs of alignment failure. The alignment of your tires becomes a little more distorted with every bump, pothole, and hard turn in the road. This misalignment becomes more noticeable over time and leads to a variety of problems, including suspension issues, tires wearing out faster than they ought to, and unnecessary difficulty when handling your car. A car with poor tire alignments is unsafe, so it's important that you choose a tire shop that prioritizes quality work and attention to detail. Backed by 30 years of experience, you can count on us for great service. Our work is guaranteed, so you can trust us to resolve your problem the first time. We provide our customers with objectively sound advice in regards to what's best for their vehicle as the safety of our customers is paramount. Expect your vehicle to perform to your standards after you've seen us for service. Contact us for any questions you have about our tire products and services. We proudly serve San Antonio, Texas, and the surrounding area, including Helotes, Leon Valley, Pipe Creek, and Bandera.